That’s a beautiful fall leaf. I’ve never seen a fall leaf so beautiful here. We go straight through the seasons without changing leaf colors. I love that red. Such a deep and gorgeous color! Love the angle and the texture! That's to the point. 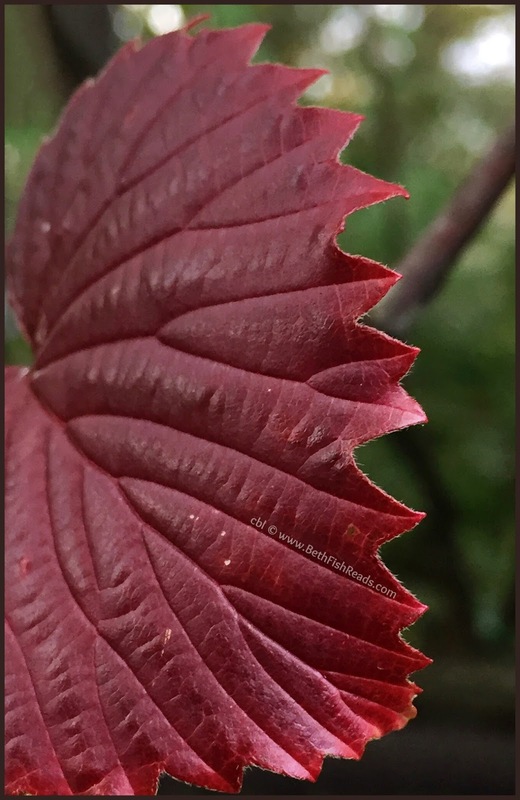 It reminds me of my red leaf shot today, only yours is sharper. Great pic. I love the smell of the leafs and it brings back childhood memories of piling them up then jumping in. Great texture and I love the deep color.